Being a Newtown Family Photographer, I have some amazing Family Photo locations right here in Bucks County. 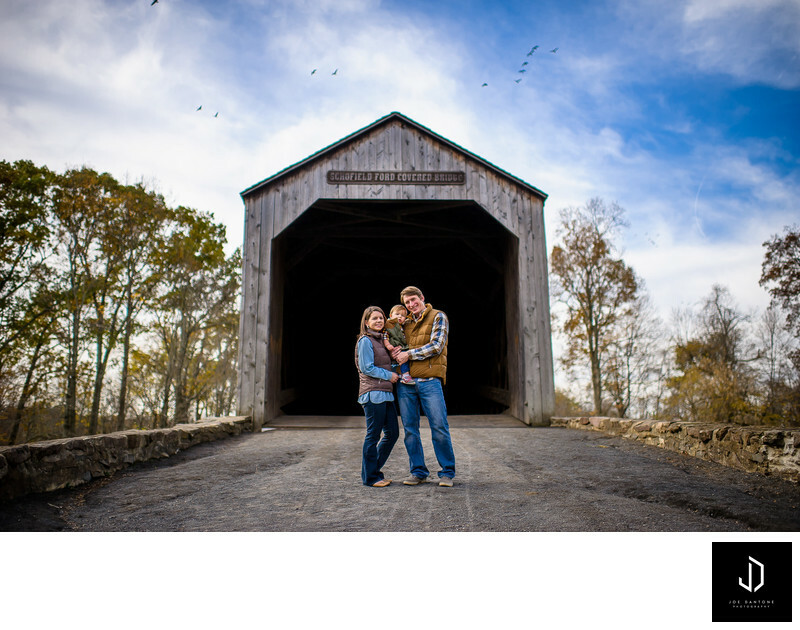 Here in this image we are on the outskirts of Tyler State Park by a Covered Bridge in Newtown. As you can tell by the leaves on the ground, this family shoot was photographed in the fall months with all the leaves and beautiful foliage.